The Miami Trace Elementary School announced the January Students of the Month for the 3-5 grades. Front row (L to R): Kaytlyn Burns, Jacob Penwell, Meyer Bloom, Lawsihn Grooms, Zuriah Begley, Lucas Eldredge, Keira Leach, Sylar Lyons and Nori Ackley. Middle row: Kaylin Myers, Cayliana Hodge, Dylan Ely, Alexis May, Lindsey Lightle, Dane Wilt, Alyvia Atkinson, Jadn Jackson and Isaac Smith-Lopez. Back row: Ashlynn Bookwalter, Anna Eggleton, Elizabeth Watson, Bodie Gurr, Joey Johnson, Kaden Bryant, Natalie Hildreth, Jackson Miller, Justin Etzler and Garth Smith-Anderson. Not Pictured: Jordan Herrera and Abbie Cox. 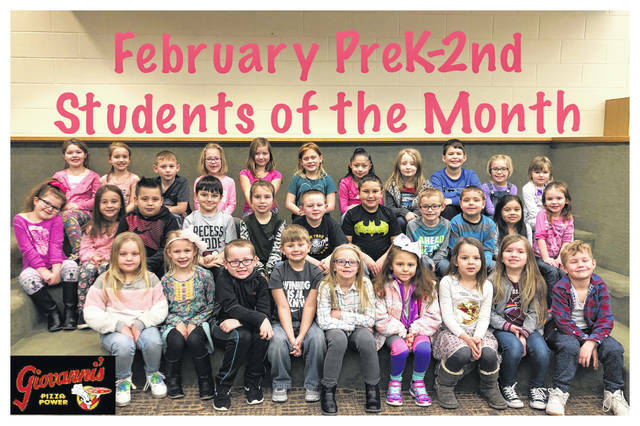 The Miami Trace Elementary School announced the January Students of the Month for the K-2 grades. Front row (L to R): Ella Hill, Paige LeBeau, Eli Woods, Brayden Carter, Jerzee Lawwell, Emma Southward, Zoey Remington, Kora Eggleton and Aiden Woods. Middle Row: Avery LeBeau, Riley Dilley, Johan Oxorio-Cole, Aayden Hottinger, Harley Arnold, Ian Taylor, Davante Robinso, Lucas Dettwiller, Tobin Coruy, Jazmin Hoover and Annabella Elkins. Back Row: Emma Myers, Sophia Evans, Mason Kelley, Madelyn McClaskey, Harley Boysel, Grace Frisbee, Yaretzi Utrera Conseco, Baylee Mootispaw, Aiden Loyd, Addison McClaskey and Reese Anderson. 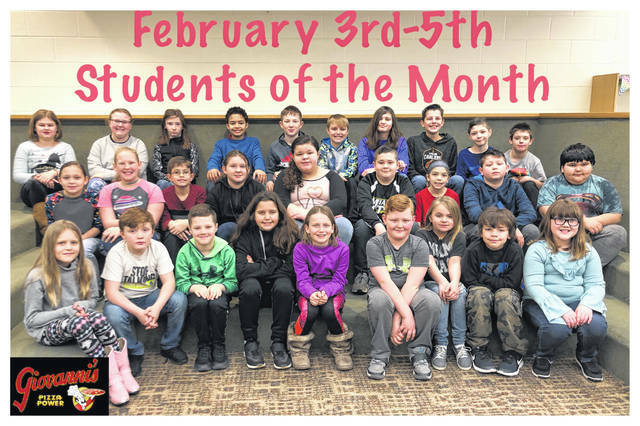 https://www.recordherald.com/wp-content/uploads/sites/27/2019/03/web1_3-5.jpgThe Miami Trace Elementary School announced the January Students of the Month for the 3-5 grades. Front row (L to R): Kaytlyn Burns, Jacob Penwell, Meyer Bloom, Lawsihn Grooms, Zuriah Begley, Lucas Eldredge, Keira Leach, Sylar Lyons and Nori Ackley. Middle row: Kaylin Myers, Cayliana Hodge, Dylan Ely, Alexis May, Lindsey Lightle, Dane Wilt, Alyvia Atkinson, Jadn Jackson and Isaac Smith-Lopez. Back row: Ashlynn Bookwalter, Anna Eggleton, Elizabeth Watson, Bodie Gurr, Joey Johnson, Kaden Bryant, Natalie Hildreth, Jackson Miller, Justin Etzler and Garth Smith-Anderson. Not Pictured: Jordan Herrera and Abbie Cox. https://www.recordherald.com/wp-content/uploads/sites/27/2019/03/web1_k-2.jpgThe Miami Trace Elementary School announced the January Students of the Month for the K-2 grades. Front row (L to R): Ella Hill, Paige LeBeau, Eli Woods, Brayden Carter, Jerzee Lawwell, Emma Southward, Zoey Remington, Kora Eggleton and Aiden Woods. Middle Row: Avery LeBeau, Riley Dilley, Johan Oxorio-Cole, Aayden Hottinger, Harley Arnold, Ian Taylor, Davante Robinso, Lucas Dettwiller, Tobin Coruy, Jazmin Hoover and Annabella Elkins. Back Row: Emma Myers, Sophia Evans, Mason Kelley, Madelyn McClaskey, Harley Boysel, Grace Frisbee, Yaretzi Utrera Conseco, Baylee Mootispaw, Aiden Loyd, Addison McClaskey and Reese Anderson.